Philips Ambient Lighting System Will Try To Block Camcorder Pirates. Forever. Philips Ambient Lighting System will demolish all camcording attempts. When Philips decides to launch it of course. You need us to tell you how people get those cam versions of the latest blockbuster movies out within hours of their official release date. The process is a pretty simple one once you have learned the basics. Of course, we won’t discuss that here. What we will discuss if the fact that companies have tried to stop camcording for years. They have introduced newer and newer technologies in order to put a stop to people “camcording” their way to “riches”. But so far, none of the movie theaters have managed to stop piracy that pirates carry out via camcorders. Needless to say, none of the above-mentioned “technologies” have helped movie theaters and their sponsors put an end to camcorder piracy. The problems related to camcording piracy still persist. In fact, they have grown in their scale if anything else. Of course, movie theaters and their sponsors have a lot at stake. Hence, they are not going to just sit back and allow pirates to “camcord” all of their latest movies and TV shows. Philips is one of those companies that have a stake in the whole setup. That’s why the company has continued to pour in its resources in its hunt for the ultimate tool against piracy. The quest is simple enough. All Philips wants to do is stop pirates from using camcorders and record the latest movies on their official release dates. In order to complete the quest, Philips has come up with a new proposal. That proposal involves Philips using a new ambient lighting technology that, Philips hopes, would mess up pirate camcorder recordings. Let’s go into a bit more details about how Philips wants to achieve that goal. And whether pirates can do anything to counter against such measures. Philips Is Going To Do What It is Going To Do And Pirates Are Going To Do What They Are Going To Do. That’s the law that governs this cat and mouse game between piracy websites, pirates and law enforcement authorities. Count copyright holder groups in that equation as well. There is little doubt about the fact that the movie industry makes a lot of money. But it doesn’t just want to make a lot of money. It wants to make a ton of money. And, right now, the only way the movie industry thinks it can do that (without any additional effort) is by stopping piracy. And it’s not like it hasn’t tried. The movie industry is fully aware of the problem. It knows that when pirates record illegal movies and then distribute them on online platforms, it cuts into their own profits. Piracy done via camcorders forms one of the biggest problems the movie industry is facing today. Of course, there are lots of other piracy threats as well. But this one directly eats into their revenue streams. And hence, the movie industry has tried to implement any and all methods to put an end to it. In fact, on some occasions, it has even gone to some extremes, as mentioned before. Now is probably a good time to take a look at the measures that movie theaters have tried to take against pirates over the last couple of years. Movie theaters first used video and audio watermarking tools in order to expose pirates. This is just one example though. On other prominent events where the stakes reached astronomical levels, movie theaters also used technology gadgets such as night-vision goggles in order to monitor movie watchers in their facilities. They also used some other spy stuff apart from night vision goggles. As mentioned before, movie theaters haven’t found much success when it comes to stopping camcorder piracy. In fact, most of their antipiracy efforts go to waste. Additionally, these aren’t that pleasing for the general public either. This is where Philips comes in. Philips wants to do something about the piracy that takes place via camcorders. And Philips hopes that the company will find success in doing that by changing some other variables. But not just any ambient lighting system. The company will build this system specifically for movie theaters. The new ambient lighting system will, Phillips hopes, put more obstacles in the way of pirates who use camcorders to engage in piracy. What Does the New Philips Patent Application Say? Philips’ patent application begins by mentioning that almost all major motion picture sponsors and studios were losing a large sum of revenue money because of piracy. All of the above mentioned “players” lose a lot of money every time a pirate uses a camcorder and records movies. Some reports say that the movie industry, with all its actors, lose around billions of dollars worth of cash each year. And all of this lost money comes their way because of piracy. That’s what Philips has tried to say in its latest patent application. Philips has also noted that many of the existing security measures against piracy aren’t entirely useless. do help law enforcement authorities along with copyright holder groups track down pirates. However, these methods don’t allow them to recover their lost revenue. Because these tools can’t prevent a person from recording and then distributing their copyrighted content. Moreover, pirates are clever people. They know how to handle technology. In other words, they have the tools available with which they can simply remove watermarks. And whenever pirates remove watermarks from a given copyrighted content, it renders the watermark completely useless. The Philips patent application also says that the main problem with existing security measures in the digital movie cinema was that they did not prevent online pirates from using a camcorder and filming the copyrighted content in a movie theater and from the related cinema screen. As mentioned before, watermarks aren’t entirely useless. Watermarks can help authorities to identify the actual source of the copyrighted content that the pirate pirated. Of course, id doesn’t do anything to stop piracy. Hence the copyrighted content still gets copied. 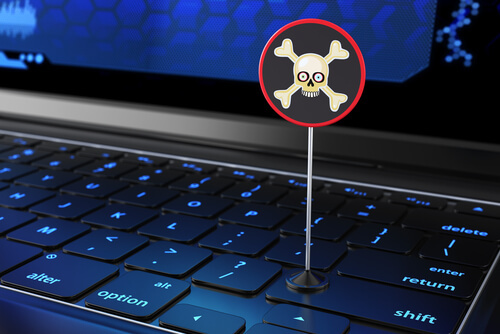 And pirates indeed spread the copyright content throughout the world with the help of online piracy platforms such as file sharing websites, streaming sites and torrent sites. So what does Philips Ambient lighting system do? How is Philips Ambient lighting system different from previous or other security measures against piracy? 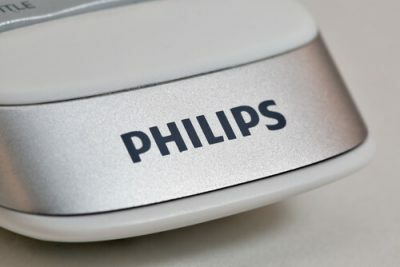 According to Phillips, the new Philips Ambient lighting system works very differently from all other security measures. 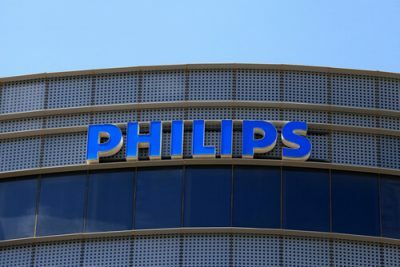 And because of that, Philips hopes that the new Philips Ambient lighting system would help Philips to cut down piracy by substantial levels. Let’s dig-in into the new Philips Ambient lighting system a little bit. The Philips Ambient lighting system works on a concept that is fairly easy to understand. In other words, the Philips Ambient lighting system shines a light on moviegoers from one side. And it does that at a very specific frequency. By doing this, it (Philips hopes) degrades the pirate recordings. And the degradation process is so severe that it reaches a point where online users can’t watch the camcorder print. In other words, the new Philips Ambient lighting system makes camcorder recordings of copyrighted content unwatchable. Philips said in its patent application that the new Philips Ambient lighting system proposed in the documents shined a visible light from another and additional light source. This light source comes from a predetermined modulation frequency at the relevant cinema screens. All the while, movie goers can continue to watch the film. The only section of the crowd that will get disturbed by the modulation frequency would be pirates trying to “camcord” copyrighted content from within the movie theatre. Philips Patent Application: More Details. Pirates will eventually find a way around Philips security measures as well. The Philips patent application also says that when the modulation frequency is chosen with enough precision, a camcorder or any other camera won’t have the right atmosphere to accurately film the copyrighted content. Because the predetermined light source actually runs totally out of sync with the camcorder or any other camera. This situation results in strips that run through the whole copyrighted movie content. How Did Philips COme With This New Idea? Well, believe it or not, but Philips took ideas from its current Ambilight TV sets that come installed with the said technology. And that’s what inspired the new Philips Ambient lighting system. When the installed Ambilight technology comes with a TV set, it basically generates unique lighting effects that surround the TV set. These lighting effects also correspond to the user’s video content on the TV. The setup for the movie theater basically works the same way. But it helps the movie industry by hindering piracy activities as well. It is all a part of the process according to Philips. Philips also believes that the new technology will allow movie theaters to have a win-win situation with their copyrighted content. Philips patent application also reads that this new technology was yet another aspect to give the users a more immersive movie experience. And as a result of the new Philips Ambient lighting system, movie watchers would be able to watch video content on their respective display devices (or cinema screens) and all the while, the new anti-piracy measures would do their own thing in the background. So When Is The New Philips Ambient lighting system Coming Out? The situation with the actual roll out is unclear. In other words, there are no concrete plans as of yet. The technology may simply need more time to become a feasible security measure at movie theaters. Of course, Philips has a lot of experience when it comes to new products and their launch cycles. The company isn’t exactly a stranger to new types of anti-piracy measures and solutions. We say that because Philips previously also came out with CineFence. What on earth is CineFence? It is another security solution that acts as a form of forensic marking technology. It is used for both sounds and image content. And Philips specifically targeted the new CineFence at digital cinema copyrighted content. Even if the new technology does zilch to reduce piracy, it would send out a good message to the movie industry. Because movie theaters would want to use the new technology to not only reduce piracy and increase revenues but also enhance the overall experience for the movie goers. Is the new Philips Ambient lighting system effective? No one can answer that question at the moment because no one has tested the new Philips Ambient lighting system. 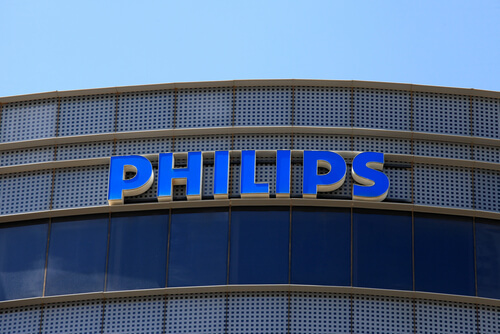 Philips can take as long as it wants to implement its new Ambient lighting system. However, that isn’t going to stop law enforcement agencies from doing their work and catching pirates. Who doesn’t know about BREIN? It is the same copyright holder group that has continued to torment pirates and piracy sites for well over a year. The anti-piracy group (based in Netherlands) actually tipped the police about a group of pirates. Using the top, local law enforcement agencies quickly sprang up into action and confiscated around 250 pirate media players. New sources also say that the vendors of these pirate devices had agreed beforehand that they would stop selling the pirate devices. And indeed, the vendors took down the pirate device offerings from their online store. Later, the police found out that these same vendors continued to offer those pirate devices via their offline outlets. You don’t need us to inform you that more and more consumers have begun to make use of set-top boxes. These set-top boxes are fully-loaded. What we mean to say is that these set-top boxes come with all the necessary features to streaming copyrighted video content from the internet directly to their owner’s TV screens. And they don’t have to pay a dime to watch all the premium content from their set-top boxes. 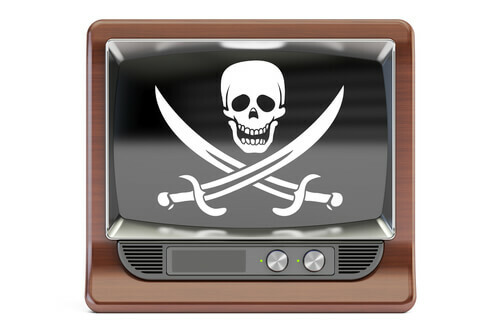 Of course, this news piece doesn’t mean that all set-top boxes are pirate devices. These set-top boxes are simply media players. But owners can change the function of these media players. And hence we have a situation where some users may use these set-top boxes in perfectly legal ways. While most use them for piracy. To transform these set-top boxes to the ultimate piracy devices, one has to install third-party add-ons on them. After that, these set-top boxes become pirate machines. And allow their users to have access to IPTV channels along with TV-shows and movies. So is it any wonder that BREIN wants the police to put an end to these pirate devices? But if you want to know more about how BREIN helped the local police to catch these vendors, click here.